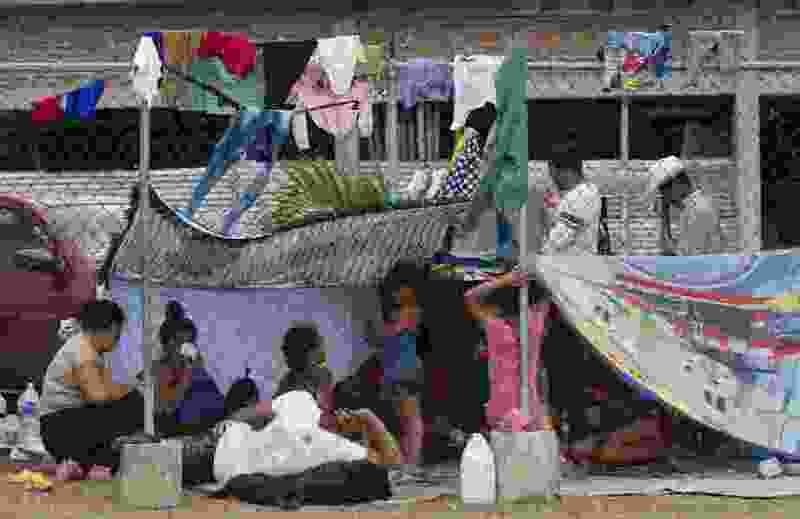 (Isabel Mateos | Associated Press file photo) Central American migrants, part of the caravan hoping to reach the U.S. border, take a break in Acacoyagua, Chiapas State, Mexico, Thursday, March 28, 2019. A caravan of about 2,500 Central Americans and Cubans is currently making its way through Mexico's southern state of Chiapas. Following World War II, the U.S. addressed the aftermath of the war in Europe where several countries were in ruin and faced starvation. The Marshall Plan was created, where in a little over four years we pumped in more the $100 billion in current dollars. We were motivated by humanitarian concerns, but also self-interest in that we wanted trading partners and did not want them becoming communist. Obviously Central America does not have much in common with post-war Europe. However, we do have a humanitarian interest (at least some do) and a self-interest to provide a Marshall Plan or moonshot type of long-range effort to help rid these countries of corruption and drug cartels. Until these countries are secure and functioning, people will keep coming trying to avoid extreme violence. Conditions we are largely responsible for with our appetite for drugs, not to mention the United Fruit Company’s negative legacy. This would be expensive, difficult and require planning by some smart folks. Yes, as stated this is unrealistic. But it is not more unrealistic than thinking Trump’s plan to cut foreign aid, separate families and build a wall will solve the problem.